Are you stitching the Splendid Sampler Blocks? We are now up to Block 60 of 100 Blocks. I have been saving mine to sew when my health picks up a bit. There are so many beautiful blocks and so many techniques ! Pat & Jane have done a SPLENDID job coordinating this event. The sponsors and partners of this project include MODA Fabrics, Martingale Books, Handiquilter, Aurifil Threads & American Patchwork & Quilting. If you haven't begun the journey yet it's not too late - Simply pop over to the web site and download the blocks. Today is the day for my very own block to be released over on the SPLENDID SAMPLER WEBSITE. 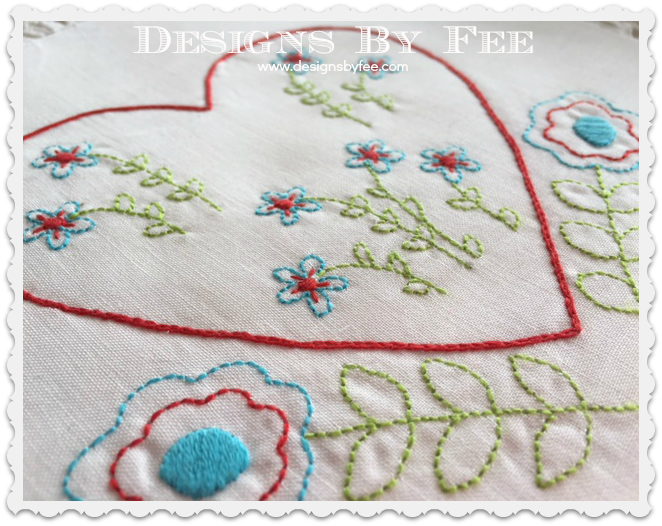 When I was approached by Pat and Jane to design a stitchery block I was beyond thrilled. What an amazing honour to be included amongst the other 99 designers. 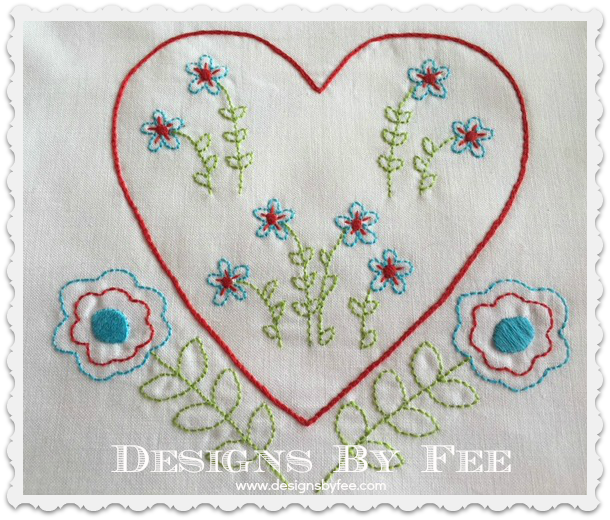 The brief was to design something that your sewing journey represents etc ...... For me it is hearts and flowers. 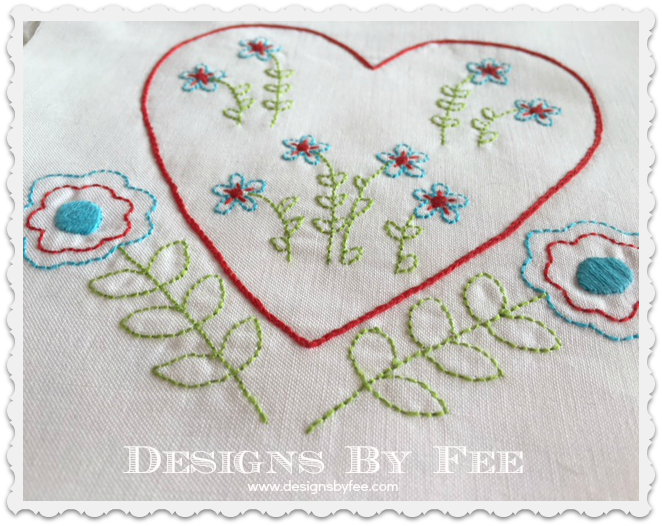 Many of my designs feature them and I love to stitch them. My designs are usually fairly simple and easy for any level of embroiderer. I hope you enjoy stitching my block as much as I enjoyed designing it for you. These days I not only design but also blog about home making, designing, upcycling and am in the process of creating my first range of One Of A Kind items which will be launched in OCTOBER via ETSY. If you would like to keep in touch with me and follow my journey, You can follow my blog, Follow me on Facebook or Pinterest or Sign Up to my newsletter - All links are in the column on the right. Your block is lovely, Fee. I've been saving the blocks to make for another time. That is lovely Fee - I am not doing them but am collecting the patterns...maybe some of them one day! Your block looks beautiful Fee! I look forward to making this one and checking out your other designs too! What a beautiful block. I am behind but will catch up and your block is the best kind to take while we travel. Thank you.